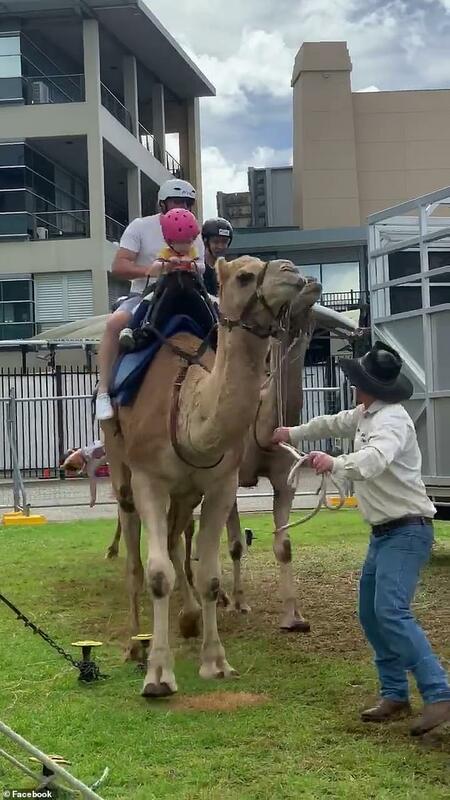 A two-year-old has been thrown off the back of a camel in an animal ride gone wrong at the Sydney Family Easter Show. The boy was riding the animal with his family at the annual show in Moore Park, Sydney on Tuesday. Mobile phone footage captured the moment the infant is hurled to the ground. A showground worker leads a line of three camels around the course. The child is seated on the last camel with his mother sitting behind him.